At the 34th annual meeting of the Japanese Association for Chest Surgery (JACS), which was held in Fukuoka, I was elected as the president during the first executive board meeting. I will introduce myself as the new president. 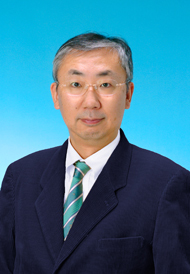 Since being registered as an incorporated NPO, while dealing with changes in the social situation, the JACS has developed under the management of Takashi Kondo, a former president, and Meinoshin Okumura, the last president. Meanwhile, the association has established various projects, such as research conducted by the scientific committee, the on-line systematization of scientific journals, releasing textbooks on general thoracic surgery, providing summer seminars, establishing servers, performing scientific investigations using NCD, holding international sessions during annual meetings with the aim of internationalizing the JACS, collaborating with the European Society of Thoracic Surgeons, and starting to conduct thoracoscopic seminars using experimental animals. Although the new board certification system has yet to be fully established, we decided that, in general thoracic surgery divisions, subspecialty training will be provided along with training for surgeons as a curriculum instead of as a program. There will be a slight change in the eligibility requirements but, basically, the system is operated just as it was in the past. Some JACS members may desire changes in the roles of the Japanese "Joint" Board of General Thoracic Surgery affiliated with JACS and the Japanese Association for Thoracic Surgery (JATS). While discussing these roles, we are planning to activate and effectively use the general thoracic surgery programs of JATS, and develop projects that can benefit the JACS members, such as supporting them for short-term study in foreign countries, and providing them with financial aid. Recently, medical safety has become an important issue. The JACS has performed various types of general thoracic surgery to reduce mortality and morbidity following surgery for lung cancer, and published the results of analyzing risk factors. In addition, regarding the skill certification of thoracoscopic surgery, we have avoided its immediate introduction because of potential risk of accidents during the development of these skills. However, currently, thoracoscopic surgery is being widely performed by general thoracic surgeons as a common treatment. In spite of these circumstances, serious accidents due to thoracoscopic surgery still may occur. It may be necessary to minimize such accidents through the “safety skills” of certification for the thoracoscopic surgery. Furthermore, in cooperation with the NCD Committee, the Scientific Committee will promote scientific research using NCD. The JACS is also planning to clarify issues by investigating the quality and performance of general thoracic surgery, disclose the performance to the JACS members, and release Japanese big data to other countries. The field of general thoracic surgery has markedly developed in line with changes in the global economy. The Asian Society of Thoracic Surgeons was established and, although there are various problems, Japan should play its roles as an Asian member. Thus, there are currently many new issues, but we hope that JACS members will continue contributing to JACS’s further development in cooperation.